"This has been popular in my family for decades. The old way my father made it was to grind the cheese in a meat grinder, then beat the mixture in the electric mixer, which was time consuming. 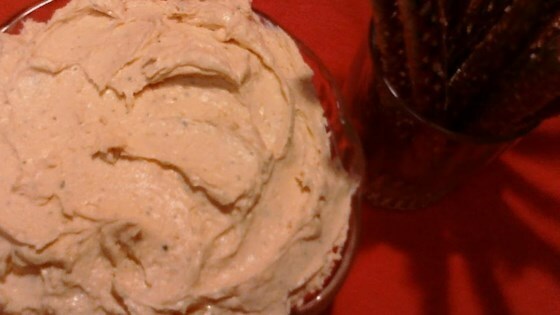 I've experimented and developed a quicker way to make it with a food processor. Just make sure you have one with a strong motor. The spread keeps for at least a couple of weeks in the fridge. Before serving, it is better to let it come to room temperature. Serve with crackers as an appetizer. Can be warmed in the microwave for Welsh rarebit as well." Place the mild and sharp Cheddar cheese, Worcestershire sauce, dry mustard, garlic, hot pepper sauce, and salt into a food processor; pulse a few times to finely chop ingredients. Slowly pour beer into the cheese mixture as the processor is running to make a smooth spread, about 1 minute. Transfer to a bowl, chill, and serve. The spread will firm up when chilled; if too stiff, mix in more beer, a teaspoon at a time, to desired consistency. The reason for letting the beer go flat first (as I learned the hard way) is that it will foam up out of the machine if you don't! I had to halve the recipe, to fit in my processor. Best recipe I've tried!